When we speak of bands operating within a comfort zone, we usually do so whilst implying negative connotations. The Walkmen, however, have on the whole been exempt from such rulings, and it must be said with good reason. The New Yorkers settled into a sweet spot pretty swiftly following their formation in 2000, and have since made only subtle amendments to a formula that's become both familiar and distinctive. Sticking to what they know has hardly been a hindrance though, and has earned them a reputation among the most consistently excellent bands that indie-rock has to offer. Indeed the only real criticism which could be levelled at them is that they've never managed to deliver a truly great record; the type that moves a band up a level and immortalises them at the expense of countless contemporaries. 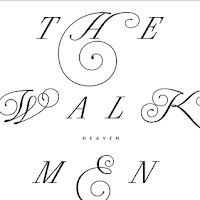 Commendable though their catalog is, The Walkmen have long seemed destined to be American indie's nearly men - always a pleasure, but never quite capable of pulling alongside The Nationals and Arcade Fires of this world. Given that this pattern has transpired for each of its six predecessors, the assumption was that Heaven would diligently follow suite and bring about more of the same. Right from its opening bars however, it's clear that this isn't your average Walkmen record, with the subsequent 47 minutes emphatically confirming that they've broken the mould. As expected, it doesn't present any radical shifts in terms of the band's sound, but what it does so is take virtually everything they've achieved thus far and fine tune it to optimum level. You'd refrain from calling it a coming of age, as their music has always carried a distinct air of maturity. Instead, it's a record more akin to R.E.M. 's Automatic For The People in that it represents everything finally falling into place, and remarkably isn't too far removed from that landmark in terms of quality. 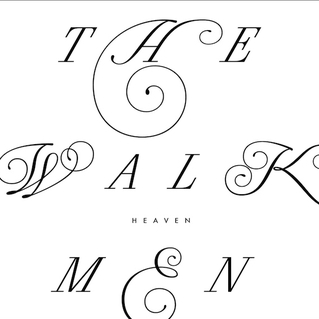 While they've had their moments of musical muscularity, one of The Walkmen's main strengths has always been their masterful command of subtlety, and that's something that Heaven exercises to perfection. There are no immediately recognisable standouts here, merely a sublime and meticulously assembled collection of slow-burners capable of stirring the types of emotions reserved for only the most wondrous of writers. They convey a type of magnificent underlying beauty reminiscent of The Velvet Underground's self-titled, with that sense being upheld even during the more uptempo moments. The instrumental caste channels that sentiment with a fantastically disciplined showing, but perhaps inevitably it's Hamilton Leithauser who steals the limelight. It's not just the fact that his voice is placed higher in the mix - he also appears to have adapted his style to incorporate a wider range of vocal approaches. This has done nothing to diminish its affinity to the grandiose, but does result in a noticeably more varied performance which does nothing but compliment his gravelly drawl. Lyrically too this record marks his greatest achievement yet, sticking to the usual emotionally affecting themes but doing so with more potency than ever, again helped no end by the stellar mixing job. We could run through individual tracks, but that would no doubt lead to an excitable dissection of just how amazing each and every one one of them is, and no one wants that. Anyway, you've surely got the gist by now - that being that The Walkmen have finally hit the jackpot, and hit it hard at that. After a decade of really-good-but-not-quite-classic albums, it seemed that they would never fully embrace their potential, and would be consigned the status of also-rans. For those who held such beliefs, Heaven will come as both a surprise and a joy, and should mark the point at which they draw level with the frontrunners and icons of the alternative landscape.